Commonly asked questions about the Transatlantic Trade and Investment Partnership. 1. What is the Transatlantic Trade and Investment Partnership? The Transatlantic Trade and Investment Partnership, or TTIP for short, is a free trade agreement currently being negotiated by the European Commission and the United States. According to the Commission, the negotiations aim to remove trade barriers, such “tariffs, unnecessary regulations, [and] restrictions on investment.” But with tariffs between the EU and the US already low or non-existent, there are concerns that the agreement will focus on removing or changing regulations and standards in Europe and the US. 2. Why should I care about regulations and standards? Regulation and standards affect everyone. They ensure our food is safe, that there are rights for workers, social and health standards, that our environment is protected. The EU and US approach these issues in fundamentality different ways. TTIP will attempt to align many sectorial standards and alter regulation to suit multinational companies trading in both regions, which critics think will involve a race down to the lowest common denominator for regulatory and standards levels. 3. How long will the negotiations take? Negotiations began in August 2013 and will continue throughout 2014, with the Commission stating that it may take a number of years to finalise any comprehensive agreement. But with growing public concern, there are calls by some politicians to speed up efforts. At a state visit to Washington in February, President Hollande said of TTIP "We have everything to gain from going quickly. Otherwise, we know there would be a pileup of fears, of threats, of anxiety." 4. Should I worry about TTIP? What will it change in my life? Proponents of the deal claim huge gains for ordinary people, yet they have been less clear about what we will need to sacrifice in order to secure a deal. As many industrial and corporate players have had undue influence over the content of the talks from the start, many observers believe that TTIP will be to the benefit of big business, not citizens. At the request of lobby groups representing everything from the agri-industy, pharmaceutical companies, to oil and gas giants and many others, negotiators on both sides are pushing a deregulatory agenda that will ultimately impact our everyday lives. From protecting our environment and climate, to developing higher standards for our food and animal welfare, to banning harmful chemicals and protecting our public services, big business wants TTIP to slash regulations to profit profit over ordinary people's welbeing. 5. Who is going to benefit from the TTIP? The Commission claims that the deal could create “hundreds of thousands of jobs and boost GDP by 120 billion.” But these numbers are highly disputed by experts working on trade issues. Prof. Gabriel Felbermayr of the IFO-Institute in Germany said in a recent interview that the impact TTIP will have on job-creation even the most optimistic scenario is “very small”, about 0.4% of total employment. Meanwhile the claim that GDP will rise by €120 billion is discredited by the Commission’s own assessment report, which indicates that such growth amounts to a mere 0.05% increase per annum, spread over many years. This coupled with the fact that such figures rely heavily on the removal of over half of all 'actionable' non-tariff trade barriers, many of which are grounded in the cornerstone of EU policy- the precautionary principal- and are thus, highly unrealistic. As a result, many believe the Commission has grossly exaggerated the benefits of the trade deal, while consistently failing to highlight some of the inevitable losers. 6. Who are the potential losers? Although there is much discussion on the regulatory changes this deal would require, very little has been said about what those regulatory changes would mean for ordinary people. Civil society groups are concerned about the watering down of consumer rights, the downgrading of labour rights, personal privacy of citizens online, health and safety standards in food and agriculture, and the effect on local SMEs, among many. TTIP will fundamentally shift the direction of global trade, inevitably affecting existing jobs in all regions. There is no guarentee that the impact will always be positive. In the Commission's Impact Assessment Report on the future of EU-US trade relations they admit that TTIP is likely to bring "prolonged and substantial' dislocation to European workers as a result of this shake up: "..there will be sectors that will be shedding workers and that the reemployment of these workers in the expanding sectors is not automatic.."
Under the Investor State Dispute Mechanism (ISDS) taxpayers will pay out compensation costs to multinationals who take cases against EU countries if they feel their future profits will be affected by new or existing legislation. The German government are currently being sued for billions by the Swedish company Vattenfall under an ISDS mechanism, for Germany's decision to phase out nuclear energy, for example. This could become the norm, with the ISDS facility paving the way for 75,000 companies to take legal action against countries under TTIP. 7. Who else could be affected? Other big losers include developing nations. Countries in North Africa, for instance, whose fragile economies rely on exports to Europe, are set to see a drop in real income per capita of anything between 2.8 and 4.0%. Under an ambitious agreement scenario, the majority of other nations outside the EU will be negatively affected by the redirection of trade, with border nations like Mexico set to see a drop of up to 7.2%. Internal trade between certain EU countries could drop as much as 40% according to the Bertelsmann Foundation, which could have serious implications for EU economic integration, on which the European project was based. 8. What about the effect on the environment? 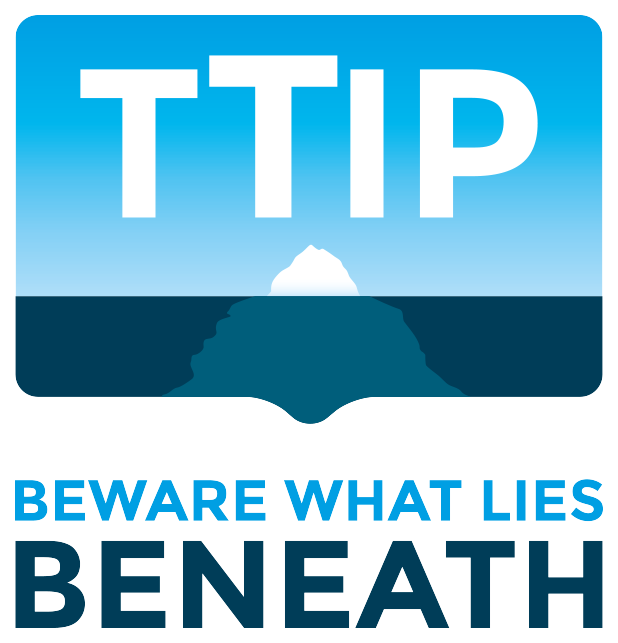 There is concern that TTIP could threaten the ability of national governments to enact environmental protections and standards for fear of being sued by multinational companies. Euractiv also reported (27 Feb) that an environment committee report "found four areas which could be badly affected by the regulatory harmonisation needed for a TTIP deal: GMO’s, chemicals, poultry pathogen reduction treatments, and aviation greenhouse gas emissions." 9. Are the talks open to the public? No. Ordinary people one both sides of the Atlantic have no access to any key negotiation texts. The Commission has made some improvements recently to make the talks more transparent, including uploading some EU positions to its website, but key consolidated texts and US positions remain secret. 10. Are Greens just anti-trade? Absolutely not. Greens believe trade between nations is important, but that trade needs to be sustainable, fair and suitable for the challenges we face in the 21st century. When lobby groups and industry representatives make up the lions-share of those consulted for trade talks like TTIP, there is little chance these deals will be good for ordinary people or the planet.